Trip.com provides one-stop travel booking services including flights, hotels, trains and cars in 13 different languages. Trip.com offers one of the most extensive flight networks of over 2 million individual flight routes connecting more than 5,000 cities around the globe for international travellers. 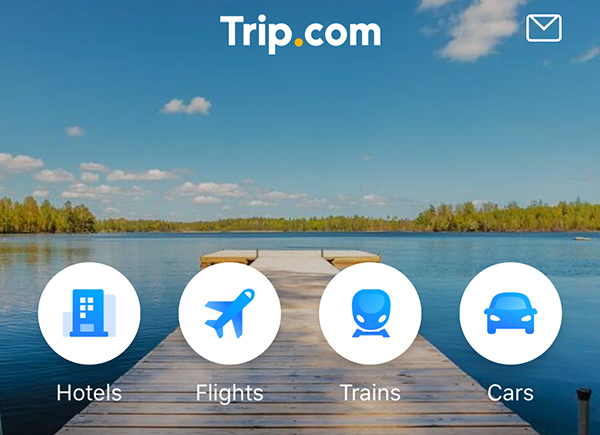 With 24/7 customer services available, Trip.com also provides a comprehensive selection of hotels, trains and car services for global travellers to search, book and experience great service seamlessly in one platform. We are delighted to be partnering with Ingenico, the global leader in seamless payment,” said Lynn Qu, Vice President of Trip.com Global Product. “As Trip.com continues to expand in markets globally, developing the best online travel booking experience for our rapidly growing base of international customers is a key priority. I am confident that Ingenico’s expertise in payments, conversion optimization – and experience working with many of the world’s top travel and tourism brands – will be invaluable to Trip.com”. Trip.com is transforming how travellers from all over the world book their inbound and outbound travel products and services. We are very excited to be providing Trip.com with eCommerce solutions and look forward to expanding our partnership in the future to include third-party payment methods as well as in-store ‘online to offline’ services.” added Nathan Salisbury, General Manager of Ingenico ePayments Asia-Pacific.